Don't let the name fool you! SumoSalad not only offers a huge range of gourmet salads, but also offers delicious wraps, pasta, soup, fruit salad and much more! We cater to all tastebuds and nutritional requirements - you can even design your own salad! 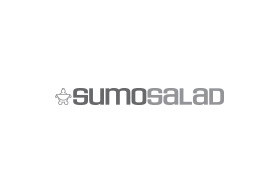 SumoSalad’s products are of the highest quality, using only the freshest ingredients. By never using unnecessary fats or genetically modified products we can ensure fresh is best and quality is key, that's the SumoSalad guarantee!